In a perfect world, cutting the cable cord and setting up a new streaming player would allow you to toss your TV remote in a drawer. One remote should be all you need to control both the streaming device and your television. 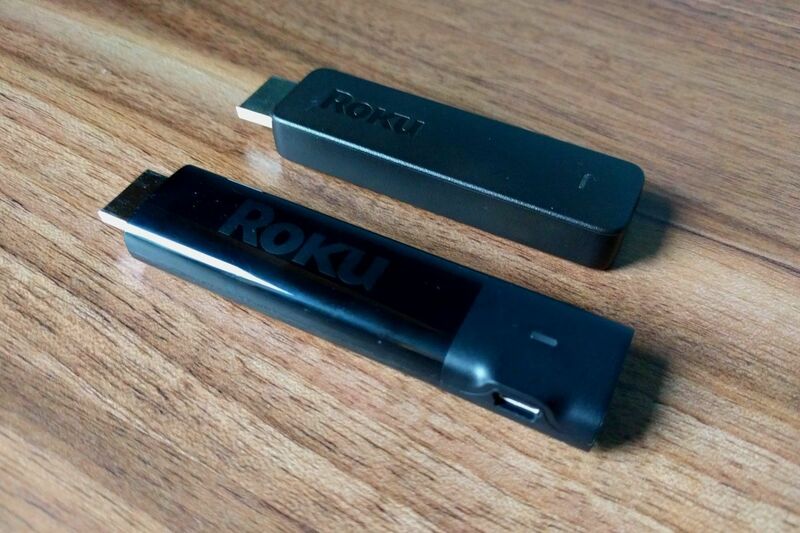 The latest Roku Streaming Stick ($50) and Streaming Stick+ ($70) finally rectify that situation, with new remotes that can control TV volume and power via a built-in infrared emitter. They also have a microphone for voice recognition, and the Stick+ supports 4K HDR video at the lowest price ever for a Roku player. The Roku Streaming Stick delivers up to 1080p resoultion. You'll want to the Streaming Stick+ (right) if you're looking for 4K HDR. The Roku experience remains familiar—maybe a little too familiar, as rival platforms take fresher approaches to finding and discovering content. Yet the Roku Streaming Stick and Streaming Stick+ are still easy to recommend on the strength of their sensible hardware improvements. Like the previous Roku Streaming Stick, the new 2017 models connect directly to a television via HDMI, drawing power from either the television’s USB port—most newer TVs support this—or an outlet. Roku doesn’t include an HDMI extension cable in the box, but will send one for free if your TV’s HDMI slot doesn’t have enough clearance around it. Roku says the new Streaming Sticks are 50 percent more powerful than last year’s model, and that the Steaming Stick+ has more RAM. But in practice, there isn’t a world of difference between any of these devices. Apps generally take a few seconds to load across the board, and while frame rates do tend to drop below a smooth 60 frames per second in some apps, it’s rare to run into any outright freezing or other navigational hang-ups. The main difference between Roku’s two new Streaming Sticks is video quality, with the pricier Stick+ delivering 4K and 4K HDR. Although Roku hasn’t made any splashy 4K content moves, akin to Apple’s price parity with HD for iTunes movies, third-party stores like Amazon Video, Vudu, and FandangoNow have started matching some prices on their own. Roku supports 4K video from all those sources and a couple dozen more, including Netflix, YouTube, Smithsonian Earth, CuriosityStream, and Toon Goggles. That’s a broader selection than other platforms, and Roku even offers handy a 4K Spotlight app for finding UltraHD content across different apps. The $50 Roku Streaming Stick (top) is the same size and shape as last year's model, while the 4K HDR Stick+ (bottom) is a bit longer. 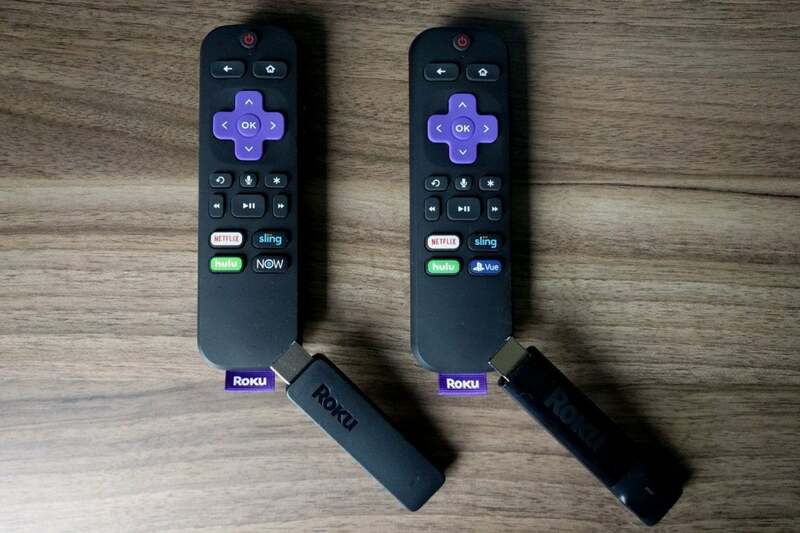 With or without 4K HDR, the biggest improvement to the new Roku Streaming Sticks is in their remotes, which now include volume buttons and a power button for TV controls. They also support voice search, which Roku had previously relegated to its most expensive players. TV controls feel like a revelation on Roku, even though Apple TV, Nvidia Shield TV, AirTV, and the Xiaomi Mi Box offer similar features. That’s partly because Roku’s streamers are cheaper than those options, and partly because of the company’s overall popularity. With Roku’s support, TV controls are suddenly the norm, and those that don’t offer them—namely Amazon’s Fire TVs—seem antiquated by comparison. Roku’s voice controls aren’t so forward-looking. Being able to quickly look up specific movies or shows by name is helpful--and Roku’s latest software brings some new features, such as genre search and filtering by streaming service--but Roku's voice search is still far behind other platforms in several ways. For one thing, Roku’s voice recognition just doesn’t work that well. The microphone has trouble hearing things unless it’s an inch or two from your face; even then, Roku can misinterpret the results. (One example: Roku heard multiple requests for “comedies on The Roku Channel” as an attempt to launch a channel called Comedy Dynamics.) Filtering by streaming platform also didn’t work with some services, including Netflix and Amazon Video. 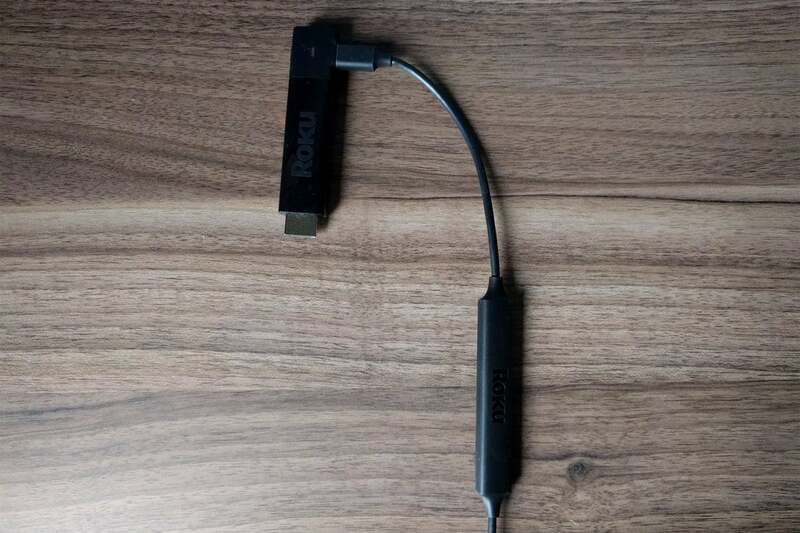 The Roku Streaming Stick+ has its wireless receiver built into the power cord, though this didn't have much impact on reception in our tests. Clicking around with a remote is often more dependable than using voice commands anyway, but that could change as other platforms like Amazon Fire TV and Chromecast add hands-free voice controls and deeper voice hooks into streaming services. Roku doesn’t yet have an answer to those advancements. On the software side, Roku continues to take the same conservative approach that it always has, emphasizing a launcher for individual apps over the content within them. This isn’t necessarily a bad thing. Although Apple TV, Amazon Fire TV, and Android TV are all more ambitious about pulling content directly onto their home screens, their execution remains uneven, so you’ll eventually want to fall back on an app launcher much of the time. Also, Roku does offer some aggregation through Roku Feed, which keeps track of new TV episodes and movie availability across dozens of streaming services. It’s a useful feature, though sadly it hasn’t improved at all over the past year. Meanwhile, Roku seems to be getting over the app quality issues that had been hurting the platform. New services like Hulu with Live TV, DirecTV Now, and Plex Live TV are just as polished on Roku as they are other streamers. And while the platform has some stragglers using Roku’s old, ugly app templates—looking at you, PlayStation Vue—Roku has given those developers an ultimatum: Those apps won’t be allowed to issue updates starting next year, and they’ll be removed entirely in 2019. 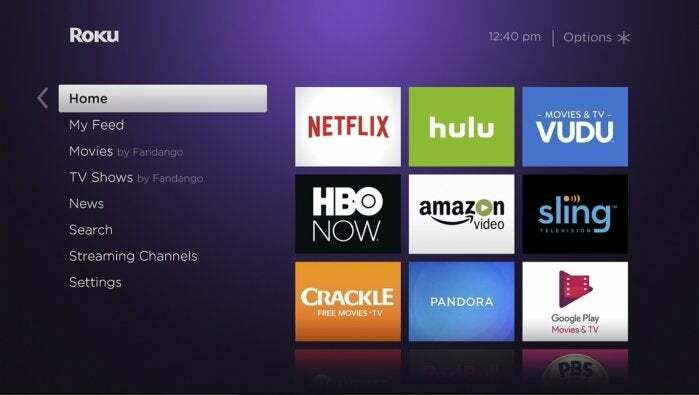 In lieu of sweeping changes, the latest Roku OS 8 brings some subtler improvements. It follows Apple TV in supporting single sign-on, so you can authenticate with a pay TV provider in one app and automatically gain access to many others. Like Apple’s version, Roku’s single sign-on doesn’t work with some of the biggest cable providers, such as Comcast and Spectrum, or with some TV Everywhere apps (most notably Disney), but it’s still a time-saver, and it works with some streaming bundles such as Sling TV and PlayStation Vue. For better and for worse, the Roku interface has barely changed over the years. Videophiles will also appreciate an option to automatically match the display’s refresh rate to whatever content is playing. This helps minimize screen tearing for movies shot at 24 frames per second, at the expense of seeing a flash of black before the video starts and after it ends. Otherwise, it’s the same old Roku software. It has some unique touches, such as private headphone listening through Roku’s mobile apps, support for hotel and dorm-room Wi-Fi connections, and some unique nuisances, like the inability to toggle between recent apps and a giant ad on the home screen. But mostly, it gets the job done for watching TV. Last year’s Roku Streaming Stick was already our pick for best budget streaming device, and the new model widens the gap with its closest rival, Amazon’s Fire TV Stick. Only Roku’s player lets you stow away your TV remote, and its apps have improved while remaining less prone to performance hiccups. 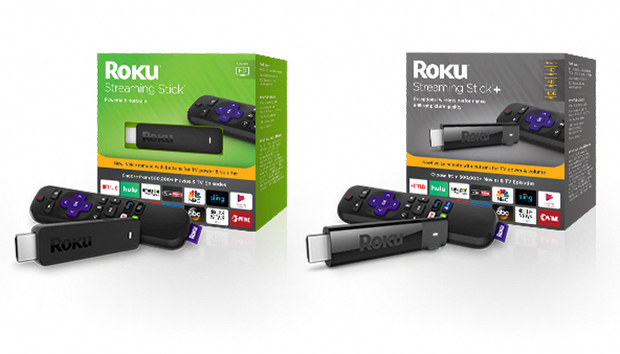 For $20 more, the Roku Streaming Stick+ is an easy pick for 4K HDR TV owners, as it effectively replaces our previous pick, the Roku Premiere+, with better features and a lower price. The streaming device market is now awash with options, from cheap streamers like Chromecast and Roku’s own Express models, to high-end streamers like Apple TV and Nvidia Shield TV. And there are plenty of little reasons why you might pick one of those devices instead of a Roku. But Roku has always been able to cut through all those reasons with well-priced hardware that just works for most people. The new Streaming Stick and Streaming Stick+ didn’t need much more than a better remote to build on what they already had.